Like No Country for Old Men and Snow Falling on Cedars, a haunting, suspenseful, and dazzlingly written novel of secrets, corruption, tragedy, and vengeance from the author of Crazy Heart—the basis of the 2009 Academy Award-winning film—an electrifying crime drama and psychological thriller in which a young cop becomes the focal point for a community’s grief and rage in the aftermath of a tragic accident. Out on a rural highway on a cold, icy night, Patrolman Ronny Forbert sits in his cruiser trying to keep warm and make time pass until his shift ends. Then a familiar beater Jeep Cherokee comes speeding over a hill, forcing the rookie cop to chase after it. The driver is his old friend turned nemesis, Matt Laferiere, the rogue son of a man as beaten down as the town itself. Within minutes, what begins as a clear-cut arrest for drunk driving spirals out of control into a heated argument between two young men with a troubled past and ends in a fatal hit and run on an icy stretch of blacktop. As the news spreads around town, Police Chief Gordy Hawkins remains certain that Ronny Forbert followed the rules, at least most of them, and he’s willing to stand by the young cop. But a few manipulative people in town see opportunity in the tragedy. As uneasy relationships, dark secrets, and old grievances reveal themselves, the people of this small, tightly woven community decide that a crime must have been committed, and someone—Officer Ronny Forbert—must pay a price, a choice that will hold devastating consequences for them all. 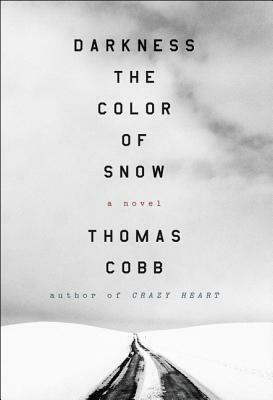 Thomas Cobb is the author of Crazy Heart, which was adapted into a 2009 Academy Award-winning film starring Jeff Bridges, and Shavetail, among other books. He grew up in southern Arizona and now lives in Rhode Island with his wife.